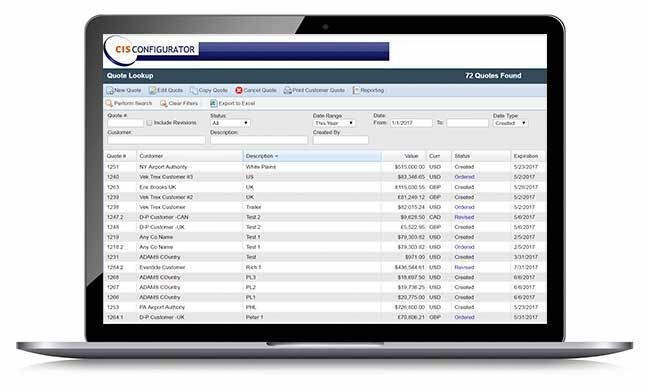 QuoteBuilder is a web-based quote management application that is ideal for organizations who want to automate the quoting process for its internal and external Sales personnel, resellers, dealers and customers. Quotes containing configured and none configured items/products can be created, edited, revised and copied quickly, all stored in one centralized location. An intuitive web portal application, with many standard features that allow you to create accurate quotes based on the rules you set and assign user roles allowing visibility, responsibility and management of discounts. The system stores all values and generates a quote with different format options. Standard reporting options are included, with advanced analytics available on request. We give you the tools to create the logic and rules that’s needed to sell your products; upload your Customers, ShipTo’s and Prices by spreadsheet. 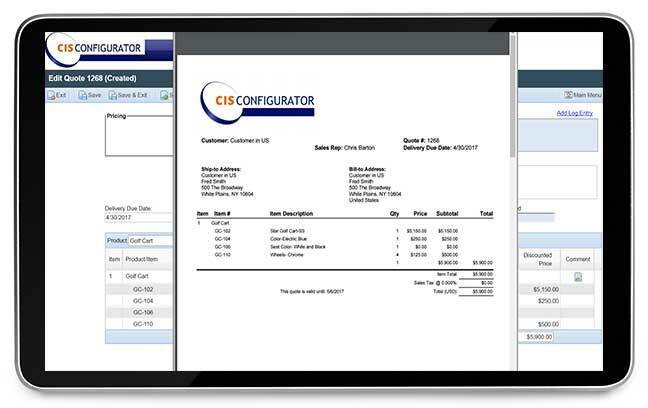 Launch our rules based configurator, allowing your sales personal to follow a guided selling process, answering questions, with answers resolving to items and pricing to create a quote. Add your Terms and Conditions, or attach a Brochure using our Document Management. Multiple status options including Submit, Revise, Copy and Order, Email alerts for quotes created, or quotes discounted and much more. There are numerous features available and if a specific one is needed we can build it for you on our platform we have been developing ourselves for many years. We support multi-currency, multi-price lists, tiered, bracket and volume pricing, have import and export options and price management. Localization tables are included, allowing almost any language to be added (double bite characters in 2018) The Document management allows you to add any number of standard documents in PDF format. We strongly recommend that you see a demonstration, you won’t be disappointed.